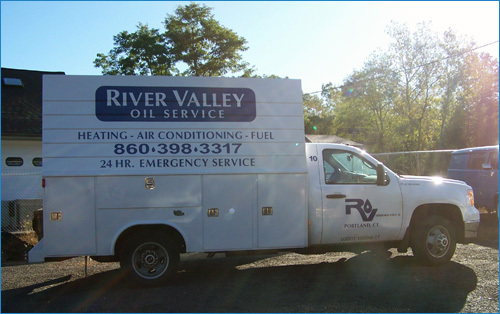 River Valley Oil Service has the capabilities to furnish all labor necessary to inspect your Air Conditioning equipment in order to maintain it in good operating condition. Air Conditioning units can be inspected - call 860-342-5670 or 860-398-3317 for pricing. Heat pump units will be inspected twice each year - call 860-342-5670 or 860-398-3317 for pricing. Clean out condensate lines and traps as needed. Inspect electronic air cleaner for proper operation. Clean and lubricate blower motor bearings in accordance with manufacturer's recommendations. Please call 860-342-5670 or 860-398-3317 to schedule your appointment, or contact us through our online form. Inspections will be scheduled weather permitting and during regular business hours, 8AM to 4PM.